LANCASTER—Belford J. 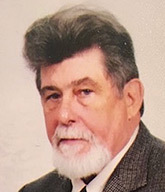 “Jim” Goode, 74, of Lancaster passed away peacefully with his family by his side on January 23, 2019. He is survived by his wife of 43 years, Deborah Goode; daughter, Kelly Abbott; son, James “Randy” Goode (Melody); grandchildren, Ashlyn, Peggy, Taylor and Morgan; sister, Barbara Wilder (Jim); sisters-in-law, Sharon Klinger (Don) and Sandra McCaleb (David); brother-in-law, James Lusby (Carolyn) and many special nieces and nephews. Funeral services were held at 2 p.m. Sunday, January 27, at Currie Funeral Home, Kilmarnock. Family received friends two hours prior to the service. Jim will live forever in our hearts.